This house will keep a dog cool in the summer. Designed by CooverClark. Jewels’ house is made of recycled materials and a design and orientation that allows for collection of rain water, as well as a harvesting area for planting materials. The house is elevated to allow passive cooling, assisted by a recirculation fan. The material surfaces are all non-toxic, with clean lines allowing for a refined and simply detailed structure. The slat construction on the exterior allows for air circulation and visibility into the interior of the house. A canopy covers the entrance to provide a sheltered patio for Jewels to lounge and keep watch for visitors. 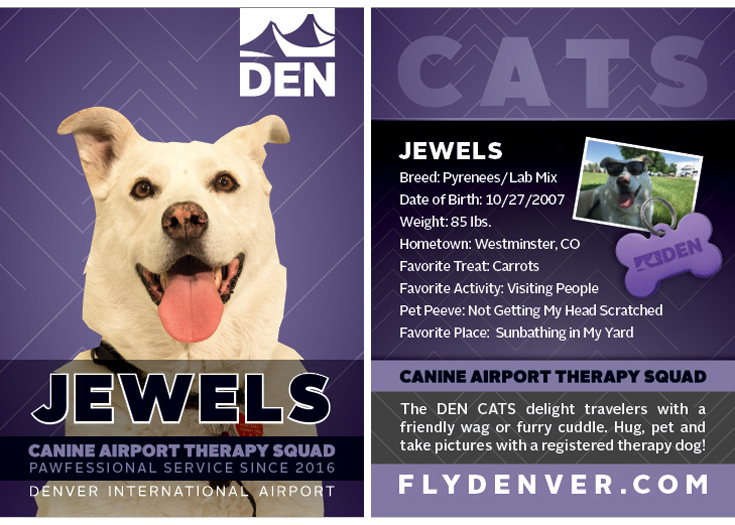 DEN Canine Airport Therapy Squad dog, Jewels, a Pyrenees/Lab mix who loves visiting with people almost as much as she loves her favorite treat, carrots. 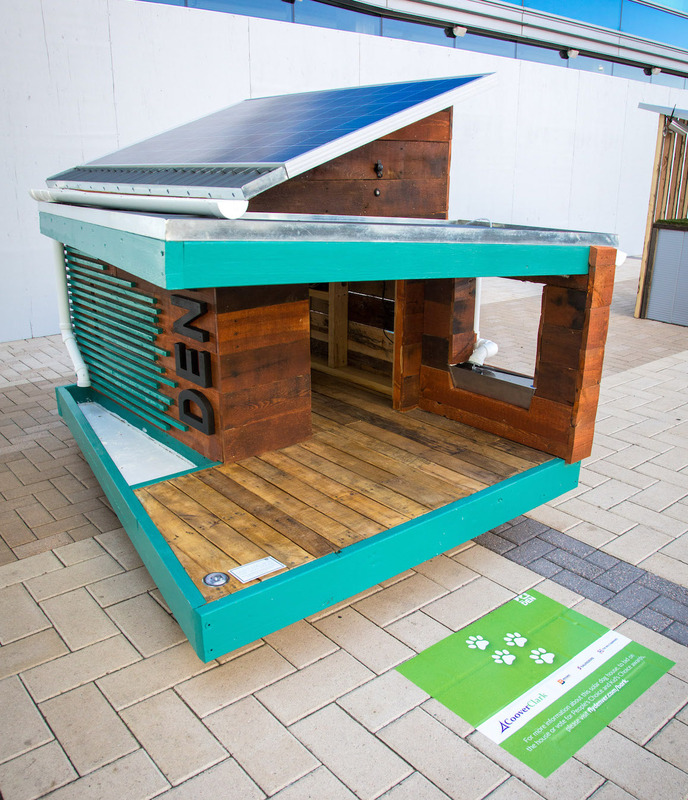 To provide a contemporary, clean design that puts function first for Jewels and creates enough renewable energy for its systems to operate at net zero.